Iran’s Supreme Leader Ayatollah Seyyed Ali Khamenei issue a 'significant and strategic' message to the Iranian nation on Wednesday on the occasion of the fortieth anniversary of the victory of the Islamic Revolution. Iran Press/Iran news: In his message, the Leader appreciated the Iranian nation for their "honorable and crushing" attendance in the rallies marking the 40th anniversary of the Islamic Revolution, highlighted the characteristics of the dignified path taken over the past four decades, and the eye-catching blessings of the Islamic revolution to get Iran to the position the nation deserves. All praise is due to Allah, the Lord of the Worlds, and peace and greetings be upon our Master and Prophet, Ab-al-Qassem Al-Mustafa Muhammad, upon his pure and immaculate household, upon his chosen companions and upon those who follow them in charity until the Day of JudgmentAmong all the nations suffering from oppression, few make an effort to launch a revolution; and among those nations that have risen and launched a revolution, few have been witnessed to have pursued it to the end, or moved beyond merely changing the government and safeguarded their revolutionary values. 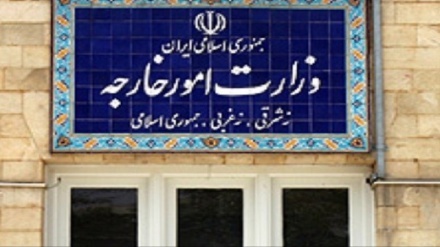 However, the auspicious Revolution of the Iranian nation—which is the greatest and most popular revolution of the contemporary era—is the sole revolution that has persisted forty years of pride, saved from betrayal to its values, and it has preserved its dignity and original slogans against all the temptations which seemed irresistible; hence, entering the second phase of self-development, society-processing and civilization-building. Heartfelt salutations to this nation, the generation who initiated and continued [the movement] and the generation that currently steps into the magnificent and global phenomenon of the second forty years! The day when the world was divided into the material West and East, and no one presumed a major religious movement would emerge, the Islamic revolution of Iran stepped into the scene gloriously and mightily; it broke the frameworks; it flaunted to the world the outdatedness of the clichés; it put the religion and the material world together, and declared the coming of a new era. It was much expected that the leaders of deviation and oppression would react—but in vain. Whatever the right and left modernity did— from pretending to ignore this emerging and unprecedented voice to extensive efforts for suffocating it— just brought them closer to their indispensable demise. Today, after forty annual celebrations of the victory of the Revolution and forty Fajr ten-days, one of the two centers of animosity has already perished, and the second one is struggling with predicaments that signal its death in the near future. Whereas, the Islamic Revolution is advancing while preserving and adhering to its mottos. The Islamic Revolution of the Iranian nation has been mighty, but merciful; forgiving and even oppressed. It has not committed any of extremist and deviated acts that have marked many other uprisings and movements with stigma. In no conflicts—not even against the United States or Saddam Hussein—did it ever shoot the first bullet and, in all cases, it defended itself after the enemy's attack; of course, it blow the defensive strike vigorously. Since its inception, this Revolution has never been merciless nor has it ever shed blood; it has neither been passive nor hesitant. Standing assertively and courageously against bullies and thugs, it has defended the oppressed. This revolutionary bravery and gallantry, this honesty, assertiveness, and sovereignty; this global and regional realm of action in support of the oppressed of the world represent a source of pride for Iran and the Iranians, and may it persist eternally! In spite of all these onerous problems, the Islamic Republic took greater and stronger steps day after day. 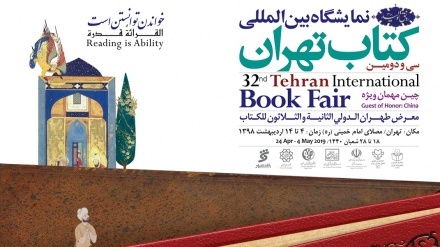 The past 40 years exhibited great jihads, brilliant achievements and amazing advances for the Islamic Iran. 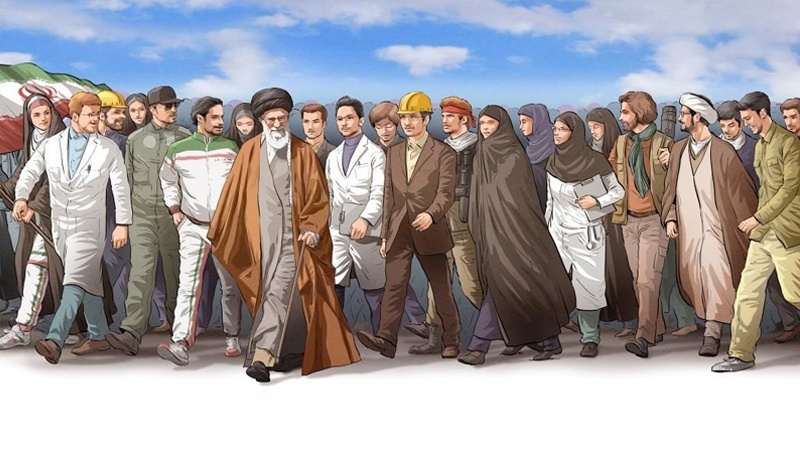 The magnitude of the progress made by the Iranian nation in the last forty years is well-recognized when compared to similar spans following other major revolutions such as the French Revolution, the October Revolution of the Soviet Union and the Indian Revolution. 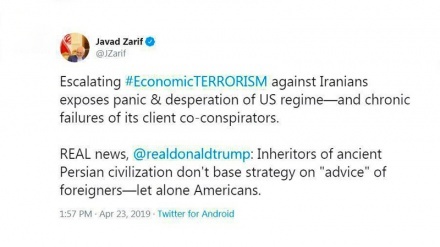 The jihadi management strategies inspired by Islamic faith and the belief in the principle of "we can do it"—that Imam Khomeini (r.a.) had taught us all—assisted Iran in its achievement of dignity and progress on various arenas. Firstly, it guaranteed the stability and security of the country; the territorial integrity and the protection of the borders—which were targeted by the enemy's serious threats—and gave rise to the miracle of victory in the eight-year war, leading to the defeat of the Ba'athist regime, and its American, European and Eastern supporters. Secondly, it acted as the country's engine in developing the field of science and technology, and in creating the vital, economic and constructional infrastructures which continue to grow more prevalent day by day: several thousands of knowledge enterprises; several thousands of infrastructure and necessary projects for the country in the areas of civil engineering and transportation, industry, power, mining, health care, agriculture and water; millions of university graduates or students; thousands of colleges and universities throughout the country; dozens of big projects, such as the nuclear fuel cycle, stem cells, nanotechnology, biotechnology, etc., all ranking among the top of the world; developing sixty times more non-oil exports and nearly ten times more industrial units. The quality of the industrial sector advanced tens of times more than before; the industry that only relied on assembling and montage was transformed into domestic technology; in various engineering disciplines including the defense industries visible prominence was observed; achievements were made in the critical fields of medicine and the position of authority in it; and dozens of other examples of progress are the outcomes of that morale as well as the social involvement and the collective feeling that the Revolution granted to the country. Before the revolution, Iran had zero production of science and technology; it had no capability in the industry except for assembling and no ability in science except for translation [of other works]. Thirdly, the Revolution has elevated to a culmination the popular participation in political matters such as elections, confronting internal seditions, turnout in national arenas and scenes involving the fight against the Arrogant Front. Regarding social matters, it boosted, for instance, humanitarian aids and engaging in charity activities that had begun before the Revolution. After the revolution, people eagerly partake in service-providing to those affected by natural disasters and social shortcomings. Fourthly, it astonishingly enhanced the political acumen of the people and their view of international issues. The Revolution expanded beyond the limited number of isolation-seeking elites—often known as the enlightened—the political analysis and understanding of international issues on the matters such as crimes by the West and particularly the United States; the Palestinian cause and the historical oppression of the Palestinian nation; the issue of bullying powers’ warmongering attitudes, vices, intrusions in other nations’ affairs and the like. This type of intellectualism became widespread and available to the masses throughout the country and in all areas of life, and similar matters have become understandable and clear even for teenagers and children. 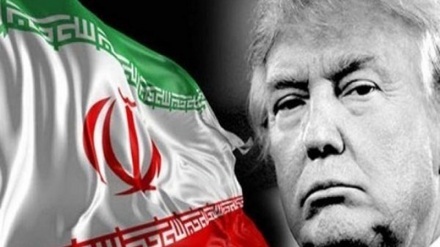 Today, just like the first days after the Revolution, the sovereign Iran faces challenges from the imperialists, arrogant powers; yet, there is a meaningful difference. If the challenges posed by the United States those days involved ending the intrusion by foreign agents or closing down the embassy of the Zionist regime in Tehran, or exposing the spy den [the former US embassy in Tehran], today, the challenges concern Iran’s strong presence near the borders of the Zionist regime, putting an end to the United States’ unlawful infiltration in the West Asia, the Islamic Republic’s support for the Palestinian people’s resistance at the heart of the Occupied Territories as well as defending the high flying flag of Hezbollah and the resistance throughout this region. 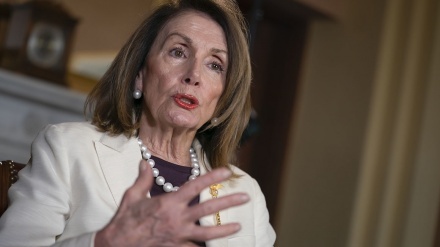 If then the West’s concern was to prevent Iran from buying basic weaponry, today, their concern is to prevent the transfer of advanced Iranian weapons to the Resistance forces. 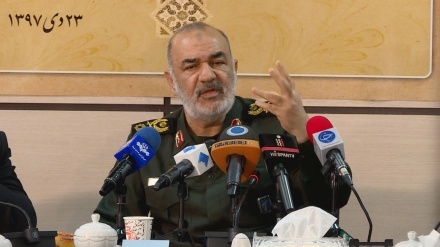 If on those days, the United States presumed that the Islamic government and the Iranian nation could be vanquished with the help of a few Iranian sellouts and a small number of aircrafts and helicopters, today they feel they need a coalition of tens of hostile or daunted states to counter Iran on the political and security fronts; and yet, they fail. Thanks to the revolution, Iran today stands out at an elevated position, one that the Iranian nation deserves to enjoy in front of the world; and Iran has already passed the challenging twists on the path of resolving its fundamental issues. However, the trail traveled so far is merely a portion of the glorious path towards the exalted ideals of the Islamic Republic. The continuation of this path—which is most probably not as demanding as the past—must be traveled with the willpower, vigilance, swiftness, and innovation of you, the young ones. Young managers, young executives, young thinkers, young activists in every field—ranging from politics, economy, culture, international relations, to religion, ethics, morality, and justice—should shoulder the responsibilities by making use of the experiences and the lessons learned in the past, applying the revolutionary view and the spirit of jihadi actions in order to build our dear Iran as a comprehensive model for an advanced Islamic government. An important point that needs to be considered by those who build the future is that we are living in a country which is distinctive in terms of natural and human resources. Yet, many of these resources have been left untapped or only slightly exploited due to negligence by the officials. Great endeavors as well as revolutionary and youthful motivations will be able to activate them, marking a real leap forward in the country’s material and moral progress. However, prior to any anything, my first advice concerns hopefulness and observing an optimistic outlook of the future. Without this fundamental key to any deadlock, not even one step can be taken forward. What I am referring to is authentic hope based on evident realities. I have always avoided false and deceiving hopefulness, but I have also warned myself and others against unfounded pessimism and false fear. During these past 40 years, and today as ever, the enemy’s propaganda and communication policy as well as its most active programs have revolved around making people and even our officials and statesmen lose their hope in the future. 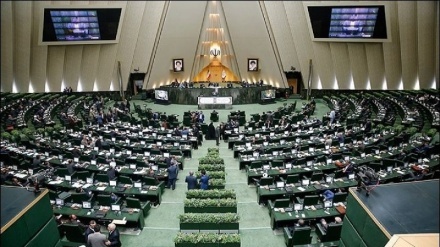 False news, biased analysis, reversing facts, concealing the hopeful aspects, amplifying small problems and berating or denying great advantages, have been constantly on the agenda of thousands of audio-visual and internet-based media by the enemies of the Iranian. And of course, their followers inside the country can be seen using the freedoms to work in the service of the enemy. You, the young individuals, must be the forerunners of breaking the siege of such propaganda. Grow the plant of hope for the future in yourself and those around you. Drive fear and disappointment away from yourself and others. This is your first and most fundamental Jihad to make. Signs of hope—some of which were mentioned—are before your eyes. The growth of the admirers of the Revolution has been far greater than that of outgoing fans, and loyal and helping hands and hearts are far more numerous than the corrupts, the traitors, and the greedy. The world has high regard and respect for the Iranian youth, Iranian’s perseverance and ingenuity in many fields. Value yourself, and with the strength given by God, ascend towards the future and create epics. Science and research: science, is the most obvious instrument of dignity and power for a country. The other face of knowledge is ability. The west brought about 200 years of wealth, influence, and power for itself thanks to their advances in science, and despite their weak moral and ideological foundations, they could dominate societies left behind from the train of science, politics and economy by imposing western lifestyle on them. We are not calling for the abuse of science like what the West did; however, we insist on the country’s need to flow the fountains of science among ourselves. Thank God, our nation’s talent in acquiring science and research is higher than world’s average. The scientific uprising in the country that started almost two decades ago has been going on with a speed surprising for global observers, i.e. 11 times faster than the average pace of the world’s scientific growth. Our achievements in science and technology—that have put us in the 16th place among more than 200 countries in the world, have surprised world observers and in some sensitive and new fields has promoted us to the first ranks—happened while the country was under financial and scientific sanctions. In spite of having to swim against the tide made by the enemy, we have made great records, and this is a great blessing, for which one need to thank God day and night. However, the point I am making is that this travelled path, despite its importance, has just been the beginning and nothing more than. We are still far behind the summits of the world’s science. We need to reach the summits. We need to go beyond the current frontiers of science in the most important fields. We are still far behind from this stage. We started from scratch. The shameful scientific retrogression during the Pahlavi, and the Qajar—when the world had just started its scientific race—dealt us a heavy blow, keeping us miles behind this fast moving train. 2. Spirituality and morals: Spirituality means emphasizing on spiritual values, such as sincerity, sacrifice, reliance on God, and faith in yourself and the society. Morals entail observing virtues such as benevolence, forgiveness, assisting the needy, truthfulness, courage, humbleness, self-confidence, and other good characteristics. Spirituality and morals guide every movement, individuals and social activities and represent the main need of the society. Their existence makes life a paradise even in spite of material shortages, whereas their lack, even while materially rich, creates a hell. The growth of spiritual perception and moral conscience in the society brings about more blessings. This indeed requires Jihad and effort, and this Jihad and effort will not succeed much without the help of governments. Spirituality and morals, certainly will not be acquired through decrees and orders; hence, governments cannot create it using coercive force. However, primarily, they themselves need to observe moral and spiritual behavior. Secondly, they need to prepare the ground for the spread of those virtues in the society and assist and provide realm of influence to the social organizations in this regard. They need fight in a rational manner against centers of anti-spirituality and anti-morality, and prevent the evil ones from pulling others down with them by force or deception.